In the final installment of Beyond the Spiderwick Chronicles, Nick and Laurie had thought they solved their giant problems when they drove all the giants into the sea. But now, the Grace kids have come back to tell them they may have more trouble coming their way! It turns out the giants control the population of Hydra, a dragon like creature that is creating sinkholes all over Florida. But with the mermaids refusing to return the giants to the shore, the nixie's still missing and the threat of a destroyed Florida drawing closer, the kids have to take matters in their own hands. Will Nick and Laurie be able to stop the destruction they unwittingly caused? Can a new giant hunter help save the day? 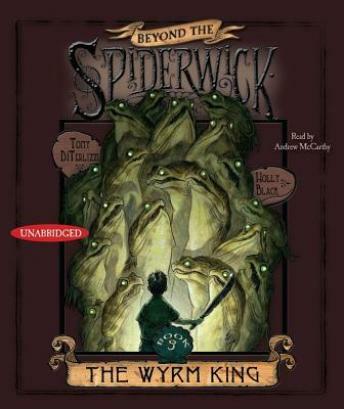 Can Arthur Spiderwick's Field Guide help them out of this or are they on their own? Find out in the final conclusion of the Spiderwick saga!